LONDON - Global Radio has appointed group enterprises director Giles Pearman as its new group director of marketing, replacing Nicola Thomson, who is moving to New York for family reasons. Pearman's responsibilities will include the strategic development and implementation of marketing campaigns across Global's seven brands, including Heart, Classic FM and Galaxy. Pearman will run Global Radio's media agency review, which was temporarily placed on hold when it emerged Thompson was leaving the company. In his new role, Pearman will report to Richard Park, director of broadcasting at Global Radio. Pearman's first assignment will be a new campaign for 95.8 Capital FM, which will be followed by campaigns for LBC and Classic FM later this year. 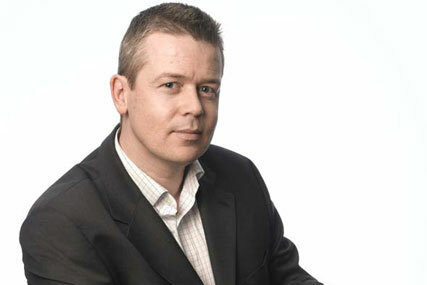 Pearman has worked in radio for 10 years and was formerly the marketing director of Classic FM. Park said Pearman had a "proven track record", was able to lead a big successful team and was committed to the success of Global's portfolio of brands. Two weeks ago, it emerged Thomson was leaving the radio station following the announcement that her husband Peter, managing director at M2M, is moving to New York to set up a new division of the Omnicom agency. Thomson managed Global's review of its £2m media planning and buying business in April, when Global Radio ended its relationship with Publicis Groupe's MediaVest. She was also heavily involved in the rebranding of a number of Global stations to Heart, widely regarded as being a huge influence on the success of the network, which was reflected in the Rajar results for Q1 of 2009.